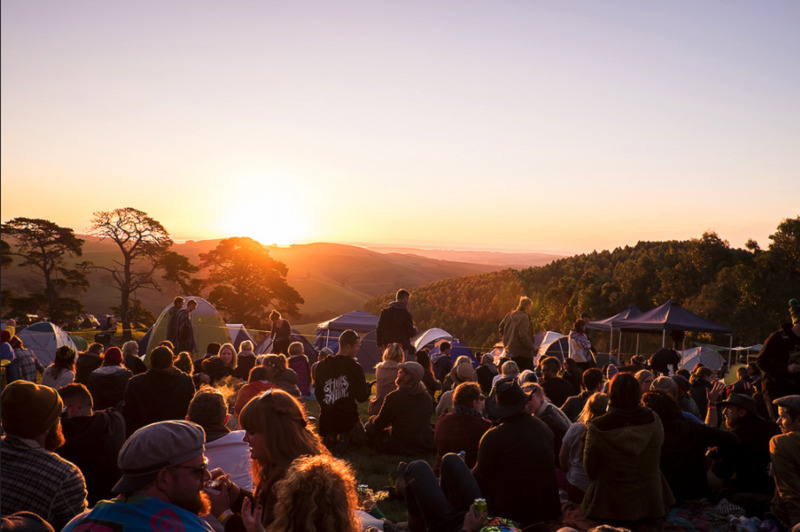 In its eleventh year, The Hills Are Alive festival is taking a break after its 2019 event in March. It is held in the sprawling hills of South Gippsland, in Victoria, on the parents’ farm of brothers Aidan and Rhett McLaren. “When we first started out, it was the only event we ran,” Aidan McLaren tells TMN. Now they operate six festivals, including NYE On The Hill, Unify Gathering with the Unified Group (and the largest with an audience of 8,000), the one-day Hill in the City, and the successful debut last year of Ocean Sounds on Phillip Island and which will return in 2019. Also adding to the list is a festival for November in another part of Victoria, details to be announced shortly. “This summer was crazy, we had three festivals in three weeks, and we just had half a day off in that time,” McLaren recounts. “We’re not sure if the break will be one year or ten years, we’ll see how it goes. The Hills Are Alive started out deliberately to 330 people, only for friends of friends and who had to know a password before they could enter. The crowd has since grown to 2,000, a fiercely loyal audience who give the event a “welcome home” vibe. “One of the things about The Hills Are Alive,” recounts McLaren, “is that it has a real music lovers vibe. To coincide with the news of the break, the festival this morning added guitarist maestro LANKS, Melbourne band Cousin Tony’s Brand New Firebird, indie guitar outfit Mid City, hip hop act Poppy Rose and multi-instrumentalist Steve Cousins. They join a bill with Vera Blue, Kingswood, Didirri, Ceres, Tia Gostelow, Kwame, Press Club, Arno Fataji, Good Doogs Bugs, Raave Tapes, Planet, Genesis Owusu, Syde, IV League, The Northern Folk, Loser, Cool Out Sun, Stevie Jean and Househats. The comic relief comes from Aaron Gocs, Bec Melrose, Marcus Ryan, Lewis Garnham and Gavin Semple. The Hills Are Alive stages Friday, March 29, Saturday 30 and Sunday, 31 at The Farm. It’s 10 mins from Loch Village, 20 mins from Wonthaggi and 95 mins from Melbourne.